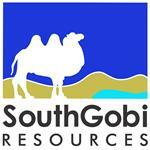 VANCOUVER, British Columbia, Sept. 20, 2018 (GLOBE NEWSWIRE) -- SouthGobi Resources Ltd. (TSX: SGQ, HK: 1878) (“SouthGobi” or the “Company”) - The Company announces that Inner Mongolia SouthGobi Energy Co., Ltd. (“IMSGE”), a subsidiary of the Company, has received a court summons (the “Summons”) from the Ejinaqi People’s Court of Inner Mongolia Autonomous Region of China (the “Ejinaqi Court”) dated September 13, 2018 in relation to a dispute over certain coal sales contracts with Jiayuguan Xiyuan Trading Co., Ltd. (“Xiyuan”), a former customer of IMSGE. According to the Summons, Xiyuan has applied to the Ejinaqi Court claiming that IMSGE should repay a sum of RMB 19.4 million (or approximately USD $2.8 million) to Xiyuan, comprised of RMB 19.1 million of coal prepayments and RMB 0.3 million of interest. Xiyuan also claimed Ejinaqi Fulemeng Energy Industry Co., Ltd. for joint liability of the above sums as it was alleged as an agent for IMSGE to receive coal prepayment and deliver coal on behalf of IMSGE. A court hearing has been scheduled on October 10, 2018 regarding this matter. The Company firmly believes that it has a strong defense on the merits and will retain independent Chinese litigation counsel to vigorously defend itself against these claims. However, due to the inherent uncertainties of litigation, it is not possible to predict whether IMSGE will be successful in defending itself in these proceedings. The Company will provide further updates on the status of this matter as appropriate.